Posted On February 25, 2015 by Team iCynosure. If there are only two words to describe me, they would definitely be chocoholic and shopaholic. Magical words which always brighten my day when someone says it with more enthusiasm and gusto. Shopping that earlier was a chore for many has now become a great relief. Forget running around the stores to find the perfect outfit or standing in long queues to make the payments or even lug around your shopping in the maddening crowds. All you need to do is sit in the comfort of your air conditioned homes or offices and shop at the click of a button. Shop Online. Now here is the additional cherry on the cake. 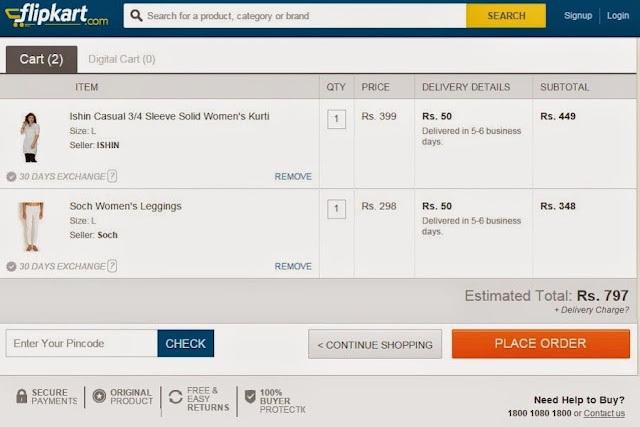 What if you are given an incentive to shop online in ways of discounts and offers? Cannot believe it to be true? But it is. Login to 27coupons India's leading discount coupons and deals distribution platform that displays discount coupons to retail buyers from almost all Indian Ecommerce websites to enjoy as and when they want. 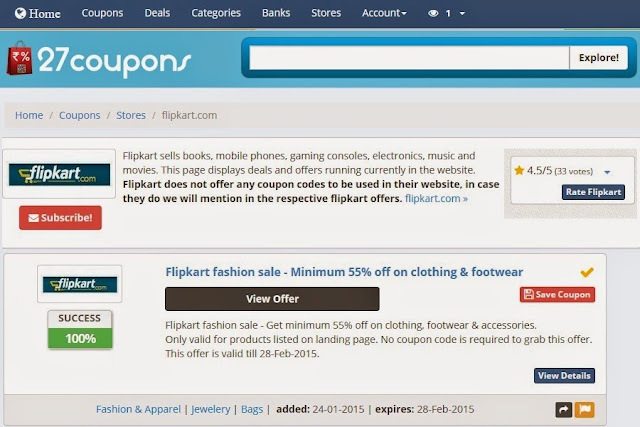 But I am sure you are going to argue that there are so many other deal and coupon portals then why prefer 27coupons? The first and most important thing that I look for in a portal as soon as I land there is the overall look and feel of it. The homepage should define the purpose, the various areas should be easy to navigate and the portal should be appealing enough for me to say there. 27coupons is just perfect for landing. As soon as you land on the homepage, 27coupons tells you exactly what the portal has to offer. The clarity in the sitemap and distinct categories make it simple for me to browse through what I really need instead of running all around the place. Any portal that can give you information about their partnerships along with the number of coupons/offers currently running upfront instead of having to browse through is really great. 27coupons helps me choose the merchant I want to shop from in one click instead of surfing through different coupon options to find my preferred merchant. A portal that directly connects me to the merchant sites makes it easier to browse through when interested in something and that’s what 27coupons does. Click through the offer or the coupon and you will land straight on the merchant page from where you can avail the same. No beating around the bush, straight to business. 27coupons has a twin update advantage. One part of it is the portal has regular updates with new offers and coupons and the second is that as a user you receive updates about coupons and offers you have earlier shown interest in or have saved on your profile. And as usual when I find a site I love, I have to experiment. Since Holi, the festival of colour is just around the corner I needed no other reason to shop from one of my favorite online shopping heavens, Flipkart via the amazing coupon options 27coupons offered. I picked up the most apt outfit for Holi, an all-white ensemble to be drenched in the colours of love. Now all I need to do is wait for both my shopping packages and Holi. You must try 27Coupons and tell me all about your experiences.